In early October, about 50 concerned citizens gathered in the Ute Mountain Ute tribal community of White Mesa for a public meeting about the continued operation of the nearby White Mesa uranium mill, the last operating conventional uranium mill in the United States. It was a big crowd for this rural community of a few hundred residents. Ute Mountain Ute tribal members from White Mesa were joined by their neighbors from the nearby towns of Bluff and Blanding, united around a shared concern for the groundwater that sustains life across southeastern Utah. The White Mesa Mill’s radioactive tailings impoundments—huge ponds where mill waste accumulates—are perched above the Navajo Aquifer, the groundwater supply for most of southeastern Utah. Some worry the liners in the older tailings impoundments may be leaking. And there are indications that they are, according to an expert commissioned by the Ute Mountain Ute Tribe to examine groundwater trends beneath the mill site. The shallow groundwater aquifer beneath the mill site is already contaminated with chloroform and other solvents, as well as nitrate and chloride. The mill’s owner has asserted that all this contamination was caused by sources other than the mill’s tailings impoundments. Regardless, if contamination migrates into the deeper Navajo Aquifer, it could threaten the drinking water supply for nearby communities, including White Mesa and Bluff, Utah. This concern, and others, brought a diverse crowd to the White Mesa recreation center where experts from the Ute Mountain Ute Tribal Environmental Programs Department and tribal elected officials spoke about public health and environmental concerns caused by the White Mesa Mill. “We are looking for protection of groundwater and the deeper aquifer far into the future because these wastes will be here forever,” said Scott Clow, director of the Ute Mountain Ute Tribe’s Environmental Programs Department. It’s hard to forget that water is life when you live on the arid Colorado Plateau, but some moments really bring that reality home. Community members spoke passionately about the need for clean water and the desire to live without fear of radioactive contamination. Yolanda Badback, a White Mesa community member, spoke about her everyday worry, driving her kids to school not far from the mill. She doesn’t know whether radon, uranium, or other radioactive material may be harming them through the air. Citizens from Bluff spoke to long-term concerns that contamination of the deep Navajo Aquifer could impact Bluff’s main water supply, which would be a catastrophe for that desert town. Of particular concern are a number of wells on the mill site that penetrate through the shallow contaminated aquifer to reach the Navajo Aquifer below. These wells could act as passageways, introducing contaminates from the shallow aquifer into the deeper water supply. Our work to protect the groundwater in White Mesa is long and progress is hard to measure. But as other battles are showing us, whether it's the Dakota Access Pipeline or the Bears Ears effort, communities are stronger together. And, as the processing site for all uranium mined on the Colorado Plateau, the White Mesa Mill should concern all communities impacted by or concerned about the impacts of uranium mining. This includes the tribal nations harmed by uranium mining—from the ongoing legacy of contamination and injustice on the Navajo Nation to the tribes currently fighting uranium mines located on sacred sites like Red Butte and Mt. Taylor. It also includes all who love the Grand Canyon, yet have to stand by as the Canyon Mine drills for ore only six miles from the Grand Canyon’s south rim, threatening groundwater quality in one of the most amazing places on earth. And this includes everyone who lives along the uranium-haul-truck routes, including the towns of Tuba City, Kayenta, Flagstaff, Williams, and Bluff, whose roads and highways will see daily traffic with uranium haul trucks traveling from the Canyon Mine to the White Mesa Mill. And, of course, it includes the community of White Mesa, the mill’s closest neighbor, whose residents have borne the disproportionate impact of its operations, spills, and emissions for over thirty years. Only a few months down the road, the state of Utah will consider issuing a new radioactive materials license for the White Mesa Mill. At issue will be deadlines for reclamation of the site, requirements for protecting the groundwater, and the level of regulation imposed by the state. Question after question in the public meeting focused on how to make change at the White Mesa Mill. How do we begin to move this mountain? Community engagement will be a bright flag for regulators, generating awareness that the decisions made in Salt Lake City impact people in White Mesa, Bluff, and across the Colorado Plateau. 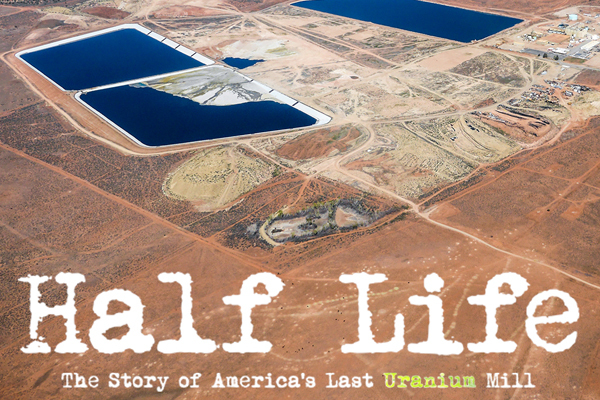 As allies, we can work together to amplify the concerns of the White Mesa community and make connections between the uranium fights occurring across the Colorado Plateau. We will have an opportunity in this upcoming public comment period to stand together to improve the status quo.